Plan now to attend all three days of Festival de Flor y Canto. Yesterday • Today • Tomorrow on the USC campus September 15-17. The schedule packs each day with a constantly advancing roster of writers reading their own work. The free, three-day literary event brings nearly fifty poets and fiction writers to Doheny Memorial Library Friends Lecture Hall. Wednesday and Thursday the first reading is at 1:00 p.m. Friday's readings start at 10:00 a.m.
Wednesday's capstone event features the father-son team of Jose Montoya and Richard Montoya. 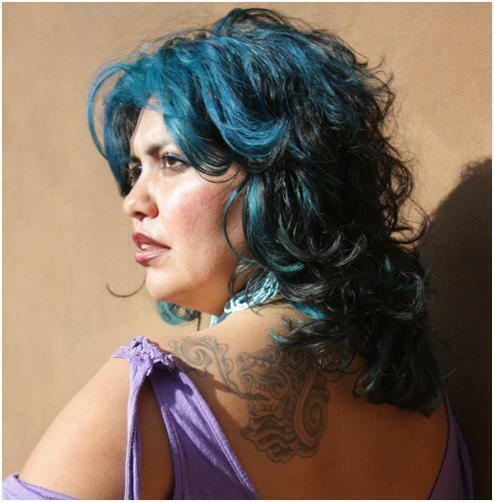 Thursday's capstone event features "Celebrando Chicana Poetry: Diana Garcia, Maria Melendez, Emmy Pérez." The reading is sponsored by University of Notre Dame's Letras Latinas in partnership with the Poetry Society of America. Friday brings an early highlight, a special presentation at 11:45 by Juan Felipe Herrera, of the UCR Tomás Rivera Lifetime Pioneer Award to Cuca Aguirre. Friday culminates with a closing reception for the festival and opening of a photographic display featuring Michael Sedano's 1973 photographs, Sueños by the Sea: Celebrating Los Festivales de Flor y Canto. Parking will be tight Wednesday, but this veteranas veteranos day is not to be skipped. Consider the bus. Here is a pair of fotos illustrating two pauses. Alurista savoring the moment in 1973, Alurista savoring another moment in 2010. Still making poetry. This portrait comes from a reading at Highland Park's Avenue 50 Studio and its monthly poetry reading, Palabra. The reading is part of a commemoration observing the 40th year since the Chicano Moratorium march. 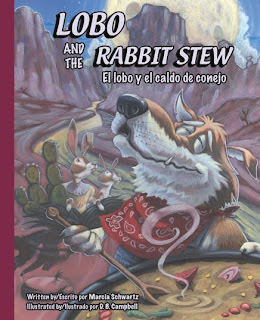 Alurista reads Wednesday, September 15 at 5:15 p.m. at Festival de Flor y Canto. Yesterday • Today • Tomorrow. For additional fotos of Palabra's Sunday reading--there are quite a number of effective portraits--if you are a Facebook user, click here. 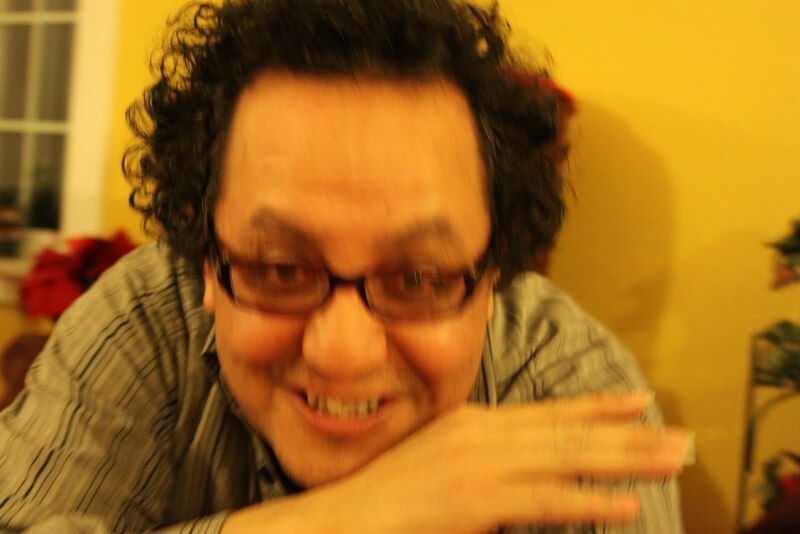 Francisco Alarcón, who reads at 5:15 p.m. on Thursday September 16, does La Bloga the service of sending a list of the week's outstanding submissions to the popular poetry website Poets Responding to SB1070. Francisco then recruits mugshots and biographical statements from each poet. He works with a team of moderators who nominate the line-up for La Bloga's weekly On-Line Floricanto. 5. “Mi Viaje a Los Estados Unidos," J.T. Freedom does not ask for a visa. Justice doesn't need a passport. Human rights are our only borders, our only country, our only security, our only nationality. time, space, cosmos, universe, the Milky Way, la Vía Lactea. can our words and actions for a different, more just, fair world not only make sense but also stand up and start walking? you carry the border wherever you go. There's the 1492 border, the mother of all borders that we know. Racial slavery began in 1492, when a small group of white men thought they could own the world and whoever lived there by declaring it so, by declaring it theirs. There's the landing of the Plymouth Rock border. Malcolm X was right: "We didn't land on Plymouth Rock; Plymouth Rock landed on of us." There's the 1776 border; the 1848 border; the 1865 border; the 1880 Chinese Exclusion border; the 1890 Wounded Knee border; the 1905 border of White Gentleman's Agreement border to keep Japanese and Asians out. The 1492 border showed up again as World War I. The 1936 Spanish Civil War border that called for internationalists to cross and double-cross all borders. The 1939 border of running over everyone and everything with tanks, storm troopers, blitzkriegs and concentration camps for our border brothers and sisters. braceros are braceros regardless of who's in charge of the border. The Nazi-Fascist borders paled in comparison with the Nagasaki-Hiroshima atomic bomb borders. Capitalism's 1492 borders made full circle when they ended World War II. The military industrial complexion? Whiteness. they have yet to learn that if you aren't color-conscious your class consciousness will be white, Eurocentric, ignoring more than 95% of world history and the movements for liberation, land, justice and humanity. we who have no representative in Congress, have never had one in the White House. In Mexico, Meso-America, Canada, France, England, Spain, Nicaragua, Cuba, and elsewhere, the history of the struggles for freedom are inscribed, tattooed, branded, insinuated, instructed, breathing through our pores, in our pigmentation. This is the pigment of our imagination. For poor and working class whites, their whiteness is aspiration to and sentinel of power and powerlessness to keep the darker brothers and sisters down. Every border since 1492 has been imposed to quash the natural world and our place in her. Every border has been used to impose a redefinition, a refinement of whiteness. Resurrect the Tainos, the Caribes, the Haitís, the guajiros, they who welcomed lost strangers, fed them, gave them fresh water, nourished them back to health – and lost everything for it. Tonight let our borders sleep together, gestate, dream, make love together. scattered without redemption or hope. Below is a letter written by the Reverend Lee Marie Sanchez to her congregation, the UU Church in Anaheim, about her experiences in Phoenix. Dawn Usher and I were released from jail today after spending about 30 hours in Joe Arpaio's dungeon. . . otherwise named the Maricopa County Jail. We were arrested after taking part in a Civil Disobedience action at a huge intersection outside of Arpaio's office at Cesar Chavez Park. This experience is beyond my words to describe it. We began the morning at 2 am to be at a prayer vigil with people who had been praying and fasting for 104 days. We marched to Trinity Episcopal Church for a huge and inspirational interfaith and bilingual worship service. 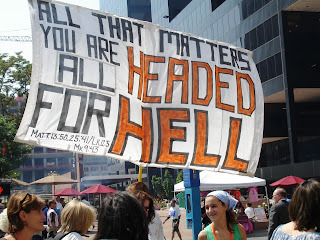 Then we walked a couple more miles where we joined with about 30 other protesters from Puente and other local organizations but of which about half were Unitarian Universalists. Dawn and I had taken hours of training the night before but nothing could prepare for what happened. We marched in a solid square of human beings into the intersection where we were met with police in riot gear. The scene was like something from a movie -- literally thousands of supporters massed down the boulevard and hundreds of Phoenix police surrounding us, asking us to move. We did not comply. The sound was really deafening as after about a half hour of our peaceful, but loud, chanting, singing and speaking, the police moved in to tell us that we would be arrested. I have to give the Phoenix police credit as they made every effort to be polite and helpful as they unlinked our arms and handcuffed us, taking all our valuables and putting us into police vans. We were taken to the Maricopa Sheriff Jail and, while I was given what I felt was some special attention as I was wearing my clergy shirt and collar, I am an older woman and I am white; not everyone was treated this way. Some experienced rough and rude handling. When we arrived we were taken out of the vans, then placed back in as our UU President Peter Morales and Susan Frederick-Gray, minister of the UU Church of Phoenix, along with Puente people and other UU ministers, moved in to block the jail entrance. We watched in horror as the sheriffs inside the belly of the beast prepared in riot gear, shields at the ready, and tear gas canisters in hand, scrambled to counter. Everything broke loose, it was angry, crazy, chaos, controlled by the overwhelming police force. Drums were beating, people yelling...like a movie scene. I will tell you more about the actual jail experience later. For now, let me say it was horrendous. We occupied several cells, mostly UUs by this time, men in some and women in about three. We had the lights on for 24 hours, were watched by men and women guards constantly, no clocks, not enough of the cinder block seating for all of us. When we tried to sleep it was without blankets or pillows right down on the hard, cold floor! Yes, on the floor, but not everyone could even lay down, some stood. We were joined by several women from the general jail population, as well as Puente women. We sang, chanted, tried to share the cramped space, used an open-to-view toilet and were constantly moved from cell to cell to disorient us. Our only food was peanut butter, oranges, packaged cookies and a little bottle of sugary drink.. NO cups for the water in the sink. The 2 phones usually did not work and we had no idea what time it was or what was happening. We were "awoken" (the few who slept) at approx 2 am for our cells to be cleaned & we moved again. That night the UUs and Puente and others held a prayer vigil outside the jail and we could hear the drum beats outside the thick walls. The next day after hours more of "processing" we were released. with love & !Si se puede! The San José Mercury News has reported on the protest in Phoenix in opposition to Arizona's SB 1070, mentioning the Reverend Greg Ward (from Monterey) and the Reverend Pallas Stanford (Santa Cruz), and quoting the Board President of the Santa Cruz Fellowship. Greg and Pallas were both arrested at the demonstration, along with the PCD's APF Chair, Rita Butterfield, from our Santa Rosa congregation. Reverend Greg observed, "I no longer think I'm different from other people. I was surprised by how quickly one's humanity can be diminished when wearing prison stripes and the pink socks and pink underwear they make you wear. And how that humanity is restored when you find out that people are waiting for you when you come out." Anyone surprised to hear that UUs are not of one mind on this issue? One example is the UU blogger who called for a clear articulation of the reason for our faith taking this stand. Another saw the protest as a show, and suggested that those arrested might have shown more solidarity with those oppressed by the system if they had refused bail. This, too, is a kind of diversity, one for which that we can be deeply appreciative. Such thoughtful disagreement is one of our strengths we can be proud of, as it serves to expand our common understanding of the issues and raise the quality of our decisions concerning how to move forward. I crossed dark waters and crawled through dust and climbed over gray barriers. On the other side I saw a silent world, bare ground, nothing growing, only grim spikes, and murky crowds of people playing checkers or just staring into the dimness and scratching their heads. “You need papers,” he explained. His eyes turned to ash and he put out his hand, wiggling his thin fingers for the documents. “But I don’t have one,” I replied. “Nobody allowed without papers,” the official snapped. “You must have a Death Certificate to stay in the Land of the Dead,” he insisted. Then I woke up in a sweat. What kind of screwball dream is this? I have to get papers to make me Legally Dead? Arizona? Of all places, I have to go to the White State of Arizona to get my papers for death? What a terrible dream! I vowed that morning that I would change the way I lived. I would do everything in my power to get rid of papers or certificates for anything and everything, to make sure that our bodies would be enough, that the air would not have a flag, the ocean would not have gates, and the soil would not have National Guards. Screw the borders! Screw all the papers! Screw the White State of Arizona! And when the grim time comes, I will crawl across the dark river and climb over the dim fences to sneak into the Land of the Dead. I will be dead without Documents, Illegal for all Eternity. Let them try to catch me! who claim to know “him” best. P.S. : If I am to go to hell for this poem, I am sure I've done worst things to condemn me. No longer needed? Too heavy to carry? 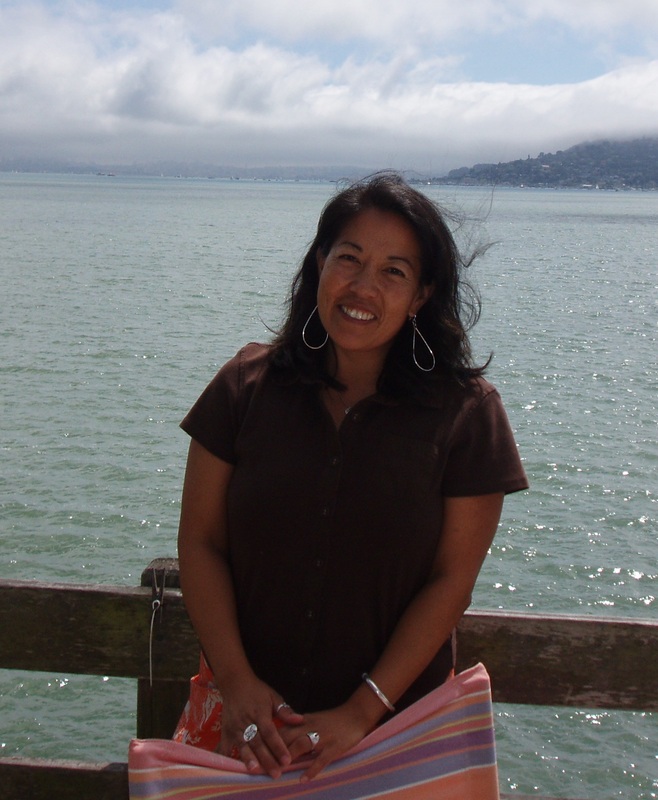 Lee Marie Sanchez was born and raised in Long Beach, California, and also resided in the state of Washington for 27 years, now home in CA again. She is the granddaughter of immigrants to the U.S. from Spain, Italy & Lithuania. studying at Meadville/Lombard Theological School in ther Modified Residency Program. She is often a guest preacher and involved in multicultural work. Hilton Obenzinger writes poetry, fiction, criticism and history. His most recent book is the autobiographical novel Busy Dying. Other books include a*hole: a novel; Running Through Fire: How I Survived the Holocaust by Zosia Goldberg as told to Hilton Obenzinger; American Palestine: Melville, Twain and the Holy Land Mania; Cannibal Eliot and the Lost Histories of San Francisco; New York on Fire; and This Passover Or The Next I Will Never Be in Jerusalem, which received the American Book Award. 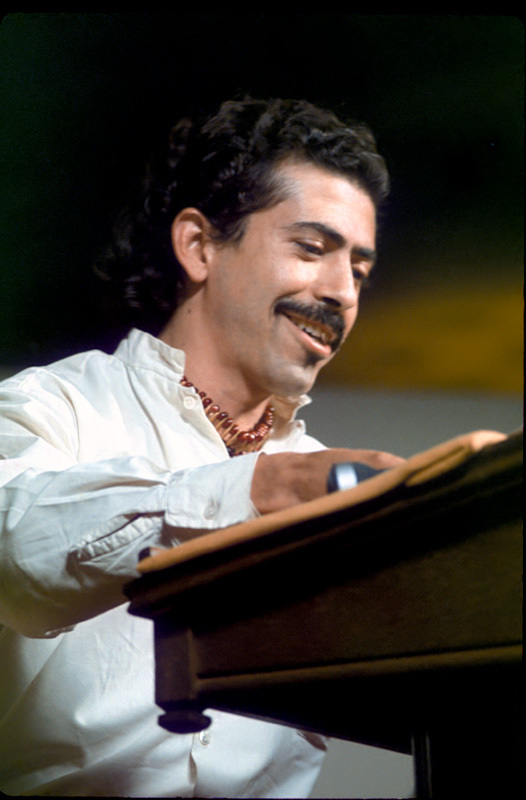 Born in 1947 in Brooklyn, raised in Queens, and graduating Columbia University in 1969, he has taught on the Yurok Indian Reservation, operated a community printing press in San Francisco's Mission District, co-edited a publication devoted to Middle East peace, and worked as a commercial writer and instructional designer. He teaches writing and American literature at Stanford University. 5. “Mi Viaje a Los Estados Unidos." The poem is by J.T., who wants to remain anonymous. Jesus Cortez is a 30 year-old poet from West Anaheim, California. His inspiration comes from his immigrant background, the street life, the pain of his people and the pain of all people. He knows that poems are like bullets against oppression, but that more action is needed if changes are to come. You could say this problem doesn’t concern me. My context is considerably far removed from the harsh realities and repercussions of what I am about to talk about, but you would be terribly, terribly wrong. A couple of days have passed since the now omnisciently famous “Arizona Law” made its debut on the local law enforcement scene; and a cocktail of widely contrasting reactions have shown up across the board. I won’t be so simplistic as to say, “Republicans have said this, Democrats have said that, and that’s America," because I believe the real heartbeat of the situation lies within the American people and their sentiments, but I do consider that party reactions are at least somewhat dictated by popular demand. This newly activated thermostat is definitely a result of not just one, but many things; but I think it’s pretty clear that at least a few tectonic plaques have begun shifting since the Obama administration charged into the white house and a few regional elections began entering the political perimeter. It’s really nobody’s fault, political battles will always find an important issue to rest themselves upon; but in this particular case we Mexicans have had to pay for the broken china. The issue is clearly decisive and divisive, and it’s this way because it is important. It is true that both sides have really good arguments going for them as a whole, but we must admit that certain individuals do hold radical opinions and propose counterproductive solutions, and that these are things that can do no more than enlarge a crack in a pot that has never really been organic or smooth. 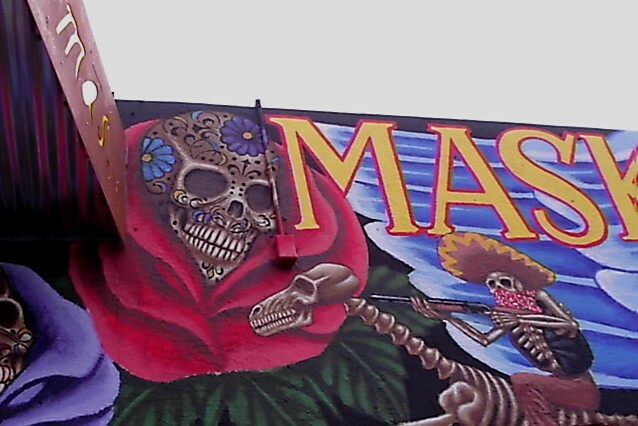 More than 30% of Arizona’s population is of Hispanic or Latino origin and, although most of them are undoubtedly legal Americans, a law that gives a police officer not only the right but also the motivation to solicit authentication papers based solely on the physical features of an individual cannot grant them the ability to visually distinguish the citizens from the not-quite denizens, and will inevitably lead to at least partial racial manifestations. At least. Even an ethical, good-natured, well-meaning police official (of which I am sure there are many) will surely begin perceiving things through racial prisms if the law explicitly orders them to do so. Just the thought of a state in which more than one fourth of its citizens become “potential threats” from one day to the next makes me shiver; I cannot find a single argument that does not tell me how terrible this could be for its inner ambience and stability. What would happen if the state of Louisiana suddenly adopted similar measures in an effort to “deal” with African Americans? I am the first one to admit that if we Mexicans had a real, substantial migration problem in our southern border, there would be fellow countrymen (politicians as well as ordinary citizens) who would react in similar, discriminatory ways; but that would not mean that they would be right in doing so. That would not exempt us from the responsibility of having to live up to our most rooted, foundational and constitutional ideals when addressing the issue. Our economies are unavoidably interdependent, our border cultures are (even if our corresponding national prides makes us hesitate when admitting to this) irreversibly interwoven, and forcefully introducing a scalpel into our now-biologically integrated membranes will not only have negative repercussions for us mulatto folks, it will also (and I wish this wasn’t the case) affect Americans, in a deeper way that they can maybe imagine at the moment. One of the things I most admire about Americans is their capacity solve problems in humane, institutionalized and intelligent (almost prodigious) ways; and, given their track record it is impossible for me to think that this serious, sensitive and bilateral (as in, we would also have to do our part) issue cannot be address in a much more thoughtful manner. The thing is that this has been currently turned into a political issue; a convenient and easily debatable vehicle that is boiling down a very complex natural phenomenon into a game of “is” and “is not." I really think we must take some time out to analyze this challenge with the diligence and objectivity it deserves; because we’re both so close together that we must inevitably tango, and we sure don’t want to be stepping on each other’s toes for the rest of the night. People could say this problem doesn’t concern me. I am a middle class Mexican student who has had the fortune of being born far away from the needs and wants that prompt our fellow “transnational entrepreneurs” to abandon this incredible land; but they would be wrong. I travel often to the United States; I talk to many Americans and have countless friends there. I admire a great many things about their culture and cannot help but be humbled by Phoenix’s section of the Grand Canyon. Also, I live in Mexico, interact with my country mates on a daily basis, have a multitude of friends here and can’t help but be inspired by the breathtaking stillness and patience of the great Sonora Desert. I’m conflicted, and I really think I shouldn’t be. It pains me because we are next-door neighbors. It really strikes a chord because we should be complimenting each other, fortifying our mutual economies, forging a stoic North American continent with the quality and stature needed to insure out heads are held high in this ever-evolving and globalized world. It shatters my day because it’s obvious that deep down we both want to be friends (or true allies, at least) but don’t know how to evaporate our skepticism and our fears. We could think that this issue will transcend no further than a bunch of upcoming primaries, but laws tend to linger for long periods of time and alter paradigms in significant ways. We could assume that what’s done is done and that this cautionary tale is just a waste of energy and time, but I would really hope this not be the case. I cross my fingers that we can somehow alter our course, even if it is just a little, before we find out that we were terribly, terribly wrong. PEN Center USA, one of two centers in the United States and the third largest in the world, was founded in 1943 and incorporated as a nonprofit association in 1981. PEN USA’s membership of more than 800 writers includes poets, playwrights, essayists, novelists (for the original letters in the acronym, PEN), as well as television and screenwriters, critics, historians, editors, journalists, and translators. 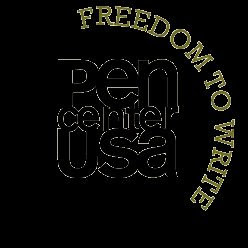 PEN Center USA strives to protect the rights of writers around the world, to stimulate interest in the written word, and to foster a vital literary community among the diverse writers living in the western United States. The organization, therefore, has two distinct yet complementary aims: one fundamentally literary and the other having a freedom of expression mandate. Among PEN USA’s various activities are public literary events, a mentorship project, literary awards and international human rights campaigns on behalf of writers who are censored or imprisoned. Vision: PEN Center USA endeavors to create a world in which freedom of expression is guaranteed for all writers, and where friendship and intellectual cooperation thrive among writers and readers worldwide. Emerging Voices is an intensive eight-month program for writers in the early stages of their literary careers. The program includes free classes; a one-on-one mentorship with a professional writer; Q&A evenings with professional writers, publishers, editors, and agents; Master classes by genre with a published PEN author; Day-long workshops on various elements of publishing; a $1,000 stipend. The program culminates with a public reading and reception. Emerging Voices serves writers from underserved communities, though selection is not based solely on economic need. Participants need not be published, but the program is directed toward poets and writers of fiction and creative nonfiction with clear ideas of what they hope to accomplish through their writing. There are no age restrictions. Professional CV that details your work experience, education and publications credits. Two letters of recommendation written by people who are familiar with your writing and can comment on your commitment to large projects. Letters from relatives not accepted. Writing Sample should include up to 20 pages of fiction or creative nonfiction or 10 pages of poetry. Sample should be typed and double-spaced. Please indicate if/how the work in your sample is relevant to the project you plan to propose as an EV fellow. $10 application fee. Address checks and/or money orders to PEN USA. No cash, please. Materials are not returned. Please make copies for your records and direct any questions to ev@penusa.org. Applications are due by August 31, 2010. Posted by Contributing Bloguistas: at 12:24 AM 0 comments. Click here to leave a comment. This weekend marks the 25th anniversary of public radio station KUVO, 89.3 FM. I still remember the first day of broadcasting; no one, and I mean no one, gave the station a chance. The odds were stacked against the new outlet. The station was going to be run by a bunch of amateurs who did not have a track record in media. And, although the press releases spoke about "bilingual public radio", they were going to broadcast jazz, latin jazz and blues, not banda. At the head of the station was a diminutive, high energy Chicana who brought humor, hard-work, and dedication, but no money, experience, or political baggage.Today, the award-winning station is one of the premier jazz venues in the world (www.kuvo.org), internationally known for its diverse and exciting programming. World-class musicians regularly perform in the high-tech performance studio, and over the decades the station has hosted all the greats, as well as local bands and numerous college and high school units. 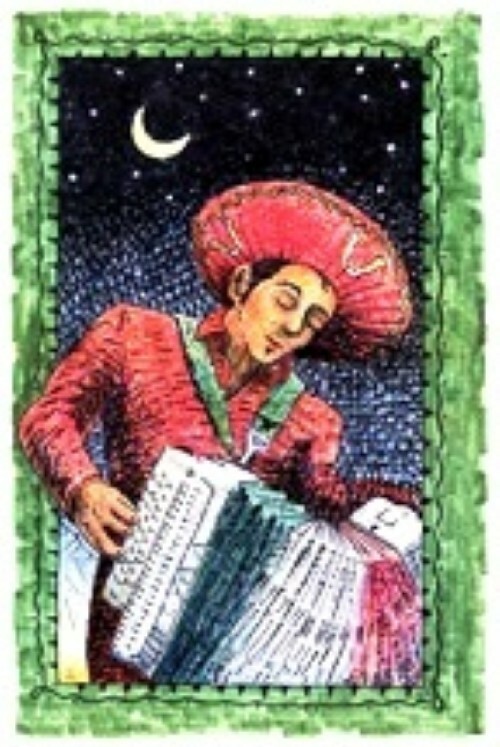 The weekend programs are nationally envied for consistent high ratings and creative, innovative formats: Native American, Latin American protest and folk, blues, R&B, Chicano rock, African American roots music, salsa and Latin fusion, Brazilian pop, and much, much more. KUVO truly is the "oasis in the city." Flo Hernandez-Ramos helped create the station. She worked with other founders for more than two years-- fund raising, dealing with the FCC, taking care of debt owed by the previous license holder, lining up the original staff and board, and learning from scratch about what public radio is all about. Then, for more than twenty years Flo was the CEO and driving force behind the station. She was there at the beginning and she has been through it all: no money, not enough staff, intermittent electricity, makeshift equipment, federal myopia, local apathy. She endeavored and endured and she gathered around her a stellar staff of radio pros just as dedicated as she. Flo is a national symbol for Latino-controlled public service radio, winning countless awards and gaining recognition as a tireless force for community involvement, diversity in staff and programming, and setting high standards for all other Latino media. She left her administrative responsibilities a couple of years ago but she stayed on as a volunteer, continuing as the mainstay for the immensely popular Sunday show Canción Mexicana. This program is the flagship for the weekend - one of the most listened-to shows in any radio service area, and clearly a leading example of how one culture's "cantina music" can cross over to any audience if just given the chance. Well, this incredible run is finally over this weekend. Flo's last show as DJ for Canción Mexicana will happen August 29th (the actual date KUVO went live.) Flo will stay involved with public radio as the Director of the Latino Public Radio Consortium, but her regular gig as DJ is done. In typical Flo and KUVO style, that means a big party. If you haven't obtained your tickets for the in-studio celebration, then listen beginning at 10:00 AM, on the radio or the Internet. There will be plenty of live music, memories and testimonials, and Flo gets a chance to say one more goodbye, one more adiós to her many fans and friends. 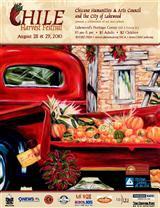 Meanwhile, check out the Chile Harvest Festival, August 28 and 29 at the Lakewood Heritage Center, sponsored by the Chicano Humanities and Arts Council (CHAC), 10 AM - 5 PM. I'll see you there on Saturday at 1:00 PM when I'll be signing King of the Chicanos at the Cultural Legacy booth. Posted by Jesse Tijerina at 8:35 PM 0 comments. Click here to leave a comment. 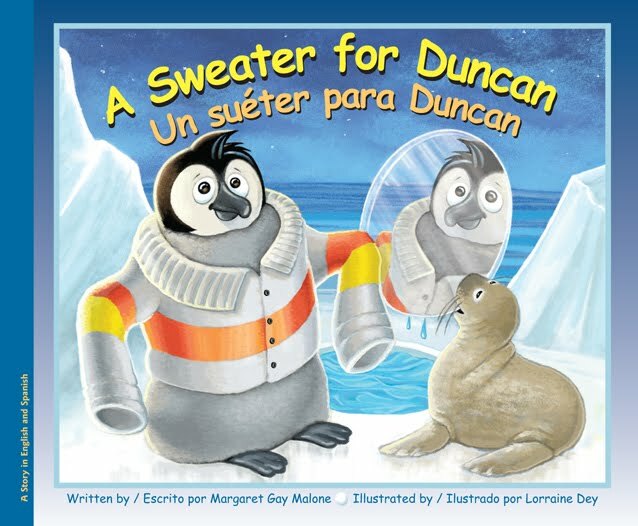 Little Duncan penguin is proud of his fuzzy coat. He sticks out his chest as he waddles among the other penguins. He knows he is the handsomest one in the frozen south. Trouble jumps in when his fuzz flies off in clumps and floats on the wind like butterflies. His mother agrees to knit him a sweater, but will that solve the problem? The sweater is just too small. What’s he to do? Finally, his mother leads him to a mirror–like piece of ice, where a happy surprise awaits. He’s all grown up, and again the handsomest penguin in the frozen south. Author Margaret Gay Malone loves both reading and writing. This will be her ninth children’s book. Among her other loves are art, music, American history and, of course, animals. Over the years, the Malone family has had a collection of animals, among them, two teddy bear hamsters, three rabbits, three cats, and two dogs. She and her husband, Tom, live with their cat, Woobie. Illustrator Lorraine Dey has been a full–time illustrator and graphic designer for over 30 years. Lorraine began drawing as soon as she could pick up a crayon and she would spend hours drawing and coloring as a little girl. “Lorrie,” as she is known to her friends and family, lives at the Jersey Shore with her two cats, Jodie and Mischief. 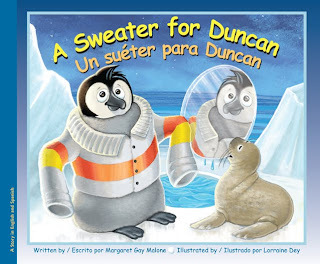 A Sweater for Duncan is her first children’s picture book. A little boy doesn’t want to go to bed. He whines. He cries. He throws a tantrum. He begins to grow long claws and a tail. What? A tail? It’s true! This little boy is not only acting like a monster, he turns into one! He growls a scary growl. He grows a tail. But, his parents know what to do. They calmly cuddle, rock, and sing to him. 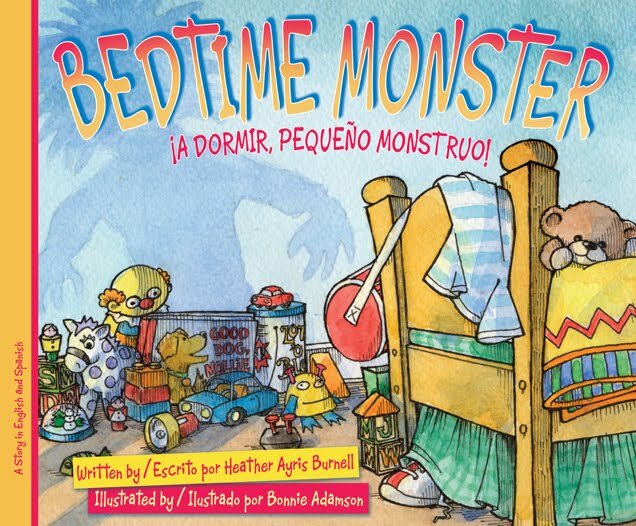 Here is a monster you might actually want to snuggle with as bedtime draws near. Heather Ayris Burnell grew up in Salinas, California. She now lives in the mountains of Washington state with her husband, three children, two big dogs and one feisty cat. Heather liked writing stories as a kid, but likes writing them even more now that she’s a grown–up. She believes there is a little bit of monster in all of us. 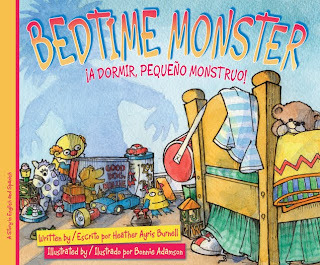 Bedtime Monster is Heather’s first picture book. Burnell has degrees from Santa Rosa Junior College as well as Harnell College. Illustrator Bonnie Adamson majored in English and then got a second degree in art from the University of Tennessee, Knoxville. Before she turned to illustrating for the children’s market, Bonnie was a free–lance graphic designer, with clients ranging from textile manufacturers to nonprofit arts organizations. Now she works from her home in South Carolina—in a studio cubbyhole wedged in next to what used to be the children’s playroom. Each initial sketch is transferred to illustration board. Then the finished painting is completed by brushing a ground wash on the entire board and layering a mixed media technique using gouache, oils and colored pencil for details. Author Marcia Schwartz is a retired high school English teacher. She has two sons and one granddaughter. She is married to Hank and together they enjoy rolling over the hills of Southeast Nebraska in their little red Jeep. Marcia has a BS in education from the University of Kansas. 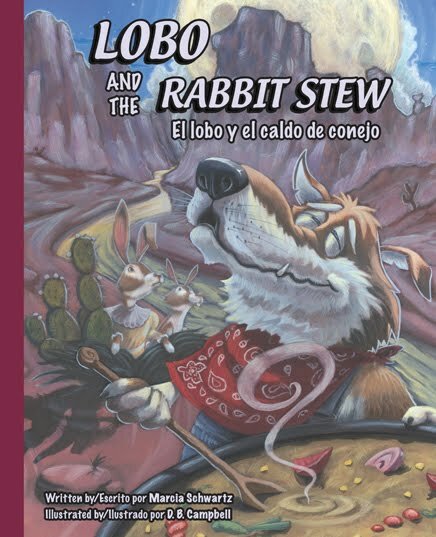 As a child, Marcia enjoyed making up stories to tell to her eight brothers and sisters, so writing “Lobo” just came naturally. Marcia Schwartz lives in Falls City, Nebraska. Illustrator Brent Campbell graduated from Columbus College of Art and Design and currently resides in North Canton, Ohio with his wife, Paula, and their children. Have you ever felt like you are unsure where you belong? Little Weed Flower is growing in a weed patch, but secretly longs to be in the beautiful garden tended by the loving gardener. 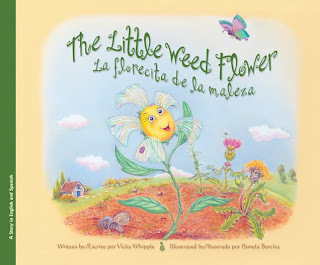 With the help of a new friend her wish comes true and she is able to share positive lessons with other garden flowers. We also learn that no matter where we come from, everything has its own beauty and a special purpose in the garden of life. A timeless story of hope for those who dare to dream. Vicky Whipple grew up as an energetic “navy brat” who loved the outdoors. By the time she graduated from high school she’d gone to 11 schools, all of this despite a learning disability. Later in life, she worked for the school district’s special education department as a teacher’s assistant to help students struggling as she did. She wrote her first published story in second grade and continued her love of writing throughout her life. Vicky has two children, three grandchildren, one older brother and one younger sister—all of whom are her heart’s treasures. Vicky Whipple lives in Virginia Beach, Virginia. Illustrator Illustrator Pamela Barcita chose to work with pastel pencils for this story. She felt the brilliant colors suited the garden flowers and the soft technique suited the gentle nature of the characters. She used a combination of real life models, photographs and imagination to create the compositions. Pamela Barcita lives in Chesapeake, Virginia. Posted by Rene Colato Lainez at 10:04 PM 0 comments. Click here to leave a comment. September 15,16,17 approach, and with them the arrival of Festival de Flor y Canto. Yesterday • Today • Tomorrow. 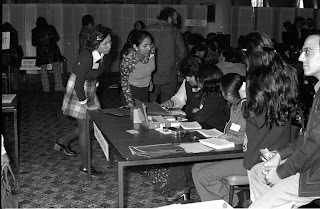 1973 saw history’s first floricanto, El Festival de Flor y Canto held at the University of Southern California. 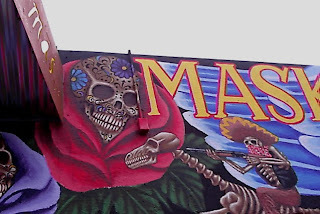 Chicano Literature captured attention among academicians, curriculum developers, and readers generally. 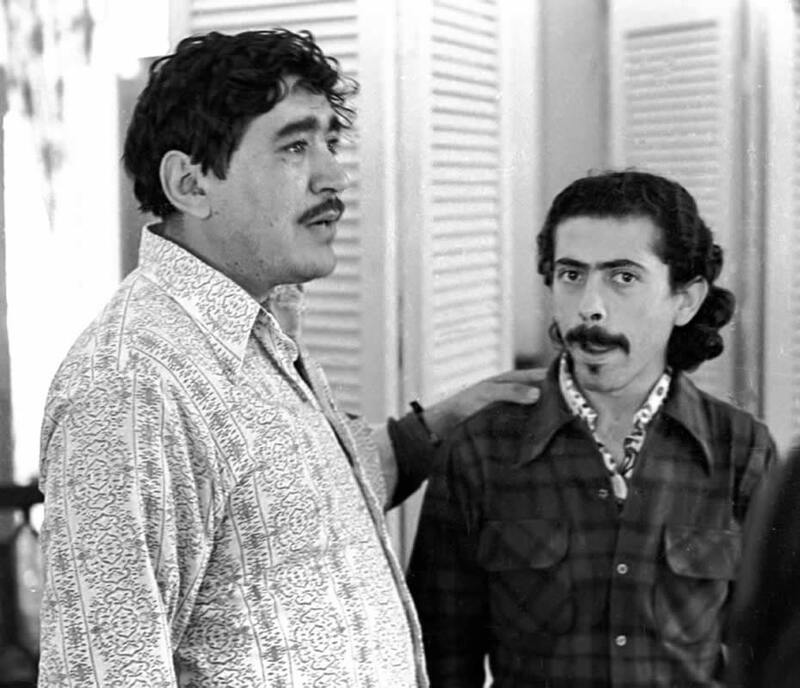 Some readers hyperbolized, given the flourishing number of writers and publishers, a “Chicano Renaissance” had come. In actuality, the movimiento period marked the emergence of a young literary tradition that has come fully to fruition in this first decade of the 21st Century. 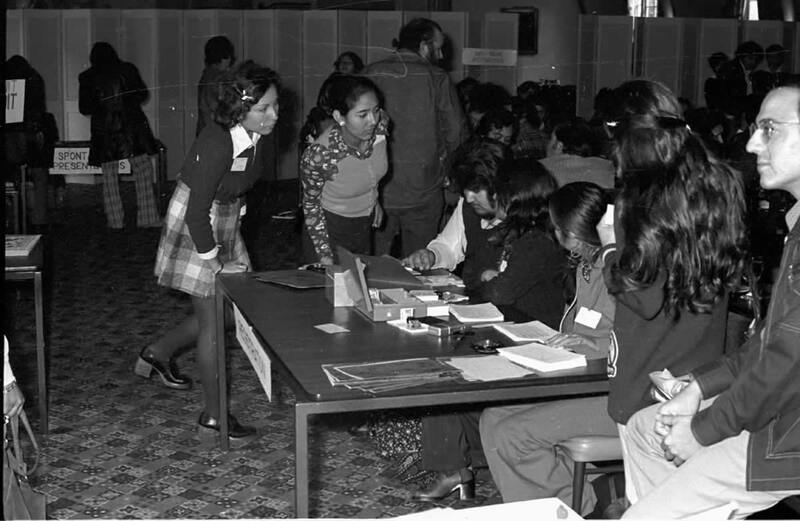 Even during its emergent life, Chicana Chicano writing went well beyond stereotypic identity and cultural nationalism. 1973’s Festival de Flor y Canto contained ample servings of the former mixed with oft stunning reminders of the sublime. A torrid declamation, a lover’s soft confession, humor ranging from gentle mirth to knee-slapping hilarity, the readings proved a listener’s delight and a critic’s dream with so much happening in so short a span of days. 2010 marks a genuine “renaissance” in the floricanto movimiento with the return to USC of Los Trece, thirteen writers who read at that original festival de flor y canto whose work was videotaped. They include: Alurista, Vibiana Aparicio-Chamberlin, Estevan Arellano, Ron Arias, Juan A Contreras, Veronica Cunningham, Juan Felipe Herrera, R Rolando Hinojosa, Enrique Lamadrid, Ernest Mares, Jose Montoya, Alejandro Murguía, Roberto Vargas. Also returning to USC and floricanto are Sy Abrego and Mary Ann Pacheco. 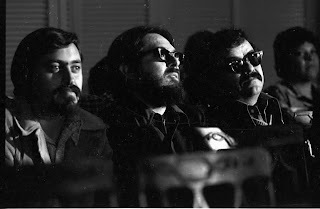 Sy headed El Centro Chicano in 1973. He was the institutional host of that first floricanto. 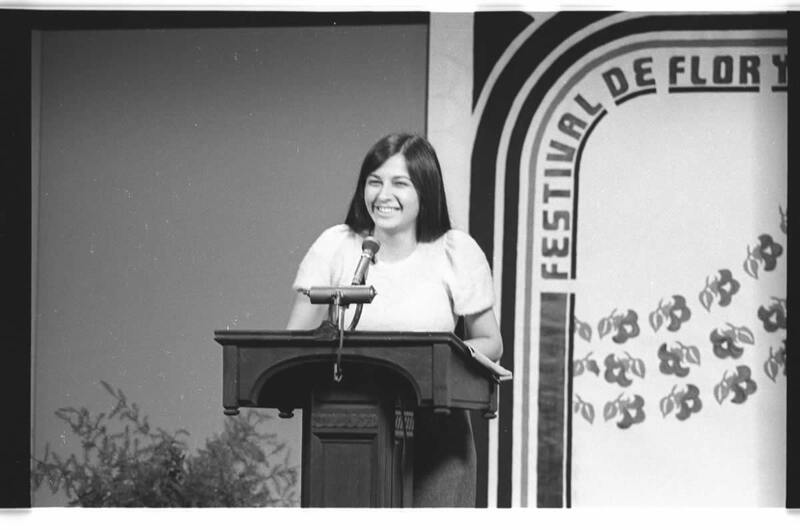 Mary Ann Pacheco, along with Alurista, first proposed the idea of a large-scale literary festival. Pacheco was the emcee for almost every event on the busy three-day schedule. Mary Ann has agreed to deliver the Welcome statement on Wednesday. 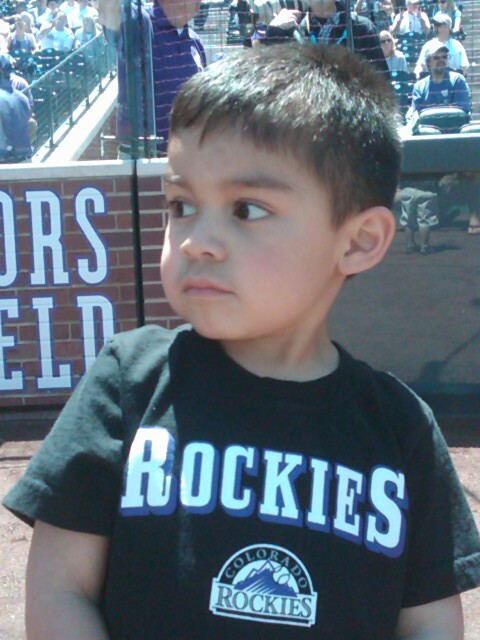 Frank "Pancho del Rancho" Sifuentes recently RSVP'd for the opening day, too. Frank served as backstage host, festival mero mero, and all-night tour guide to a carful of vatos who cruised the streets of Aztlán. Almost 50 poets and fiction writers across three days will take center stage for fifteen minute recitals. 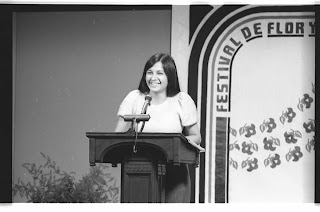 Unlike the male-centric line up in 1973, Festival de Flor y Canto. Yesterday • Today • Tomorrow’s artist list features a powerful array of women writers, including Thursday evening’s Celebrando Chicana Poetry: Diana Garcia, Maria Melendez, Emmy Pérez sponsored by Letras Latinas and the Poetry Society of America. Two father-son artist pairs appear. Wednesday evening, Jose Montoya and son Richard Montoya, and members of Culture Clash, climax the day of 1973 veteranas veteranos. In addition to hearing the Montoyas read together, Richard will screen a preview of his documentary-in-process “One More Canto". Montoya narrates the story of a legendary 1979 Chicano Poetry reading from Sacramento featuring Ricardo Sanchez, Lucha Corpi and Jose Montoya. The second father-son duo has Marco Antonio Dominguez and his son, Marco Dominguez. They read on separate days, dad with the veterans, Marco fils on Friday afternoon. Videographer Jesus Treviño, who produced the who’s-who documentary of Chicano artists, VISIONS OF AZTLAN, is videographing Festival de Flor y Canto. Yesterday • Today •Tomorrow. Unlike the 1973 videos that were nearly lost, 2010’s material will be preserved via Mr. Treviño’s filmmaking, and the USC digital library. The festival closes Friday afternoon with the opening reception for “Sueños by the Sea: Celebrating Los Festivales de Flor y Canto at USC,” curated by Tyson Gaskill. 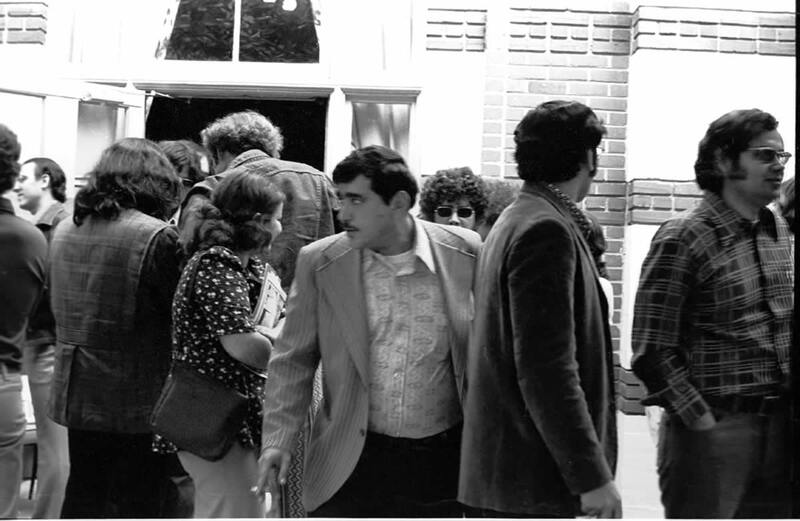 The show features Michael Sedano’s photographs from 1973. With the show’s focus on the writer as reader and performer, some of my favorite frames, like this triptych of Oscar Zeta Acosta,will be in the show. Not included on the walls, but capturing the sense and spirit of the event, are a number of candid moments. For example, interesting action was to be seen near the artist entrance and public entrance. Two women de moda. A darkened auditorium lets listeners relax into the performance, allow the words to permeate the space around them. 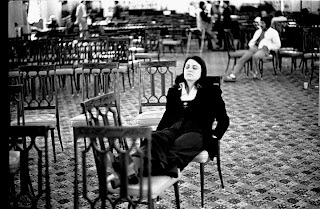 Mary Ann Pacheco did a marvelous job keeping readers on time and moving the festival along. 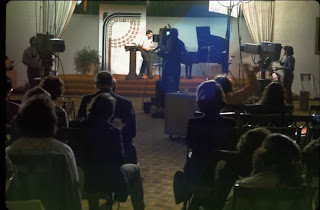 Here are my favorite Mary Ann fotos, the first showing the toll of being Ms Emcee with the Mostest, the second has Mary Ann framed by a television tripod as she reacts to something said on stage. 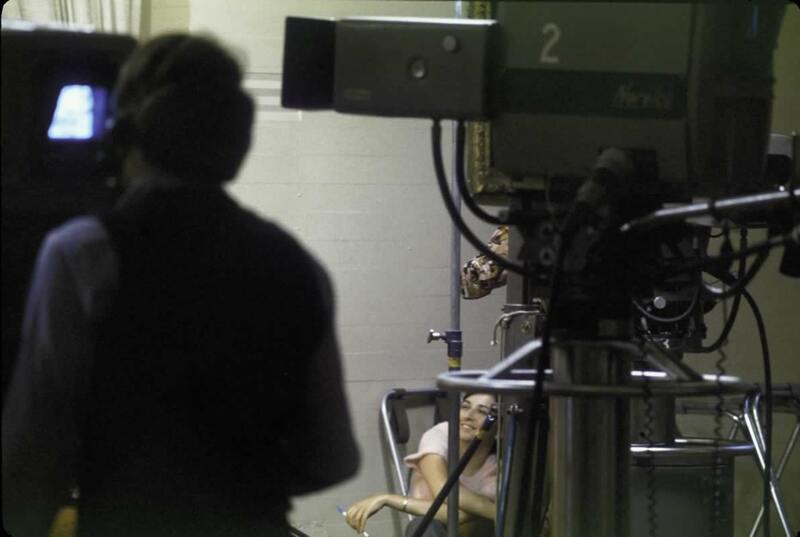 Candid backstage moments bring warm significance. Here Omar Salinas talks about Alurista's work and influence, addressing an unseen interviewer. It is the same acknowledgement Salinas will deliver on camera a few minutes later. I like the look of deliberation on Omar Salinas' face as he makes his way through a crowd milling about the public entrance. Salinas can be anonymous in the crowd who do not recognize the famous poet in their midst. Always the unsung heroes, volunteer workers from El Centro Chicano. I enjoy thinking these are the mothers and fathers of a second generation of USC Chicana Chicano alums or profes. Michael Sedano's photographic goal is taking the perfect public speaker photo. The speaker will be making eye contact, mouth open, animated expression and gesture. Posture and position will proclaim the speaker's dynamic presence and value to the audience. A second specialty is botanical close-ups, especially epiphyllum and other cacti. Sedano displays a variety of photographic work at readraza. A black and white gallery features circa 1973-1974 photos at USC, including Anaïs Nin, Bucky Fuller, and the 1974 football comeback versus Notre Dame. 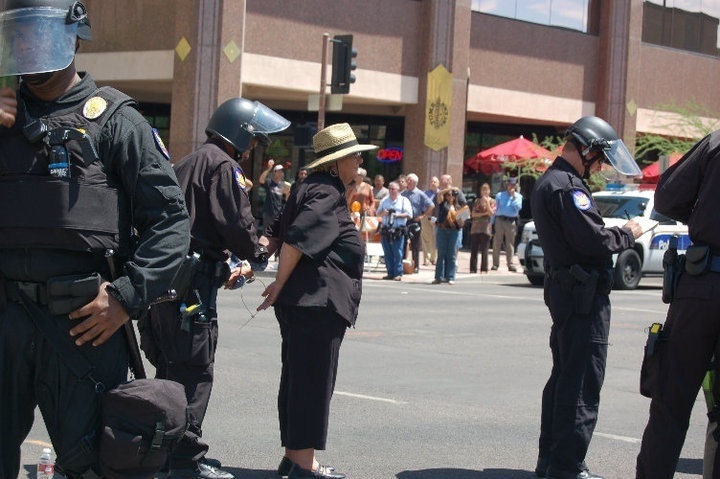 On-Line Floricanto: Six poets responding to Arizona pendejismo and hate legislation. 4. "Bitter Earth/Tierrra Amargada" by Guadalupe Rodriguez Jr.
than borders marked on a map? to pull us into that circle? In just about any city U.S.A.
Mañana in any city U.S.A.
of wood underneath our feet. entangled in a man-made plastic web. to ice cold sea waters. ask you‽” as I walk away. of what looks like a dog-pound vehicle. Matt is one-third of Venice Mozaic arts, music and poetry project, serving as its host 1411 Lincoln Blvd Venice CA every third Friday. He was also member of the historic first ever Inland Empire Slam Team. Matt has brought his poetry to a number of colleges including Pitzer, Cal State Fullerton, Azusa Pacific University, Crafton Hills College - Redlands, Cal State San Bernardino, El Camino college and Southwest college. 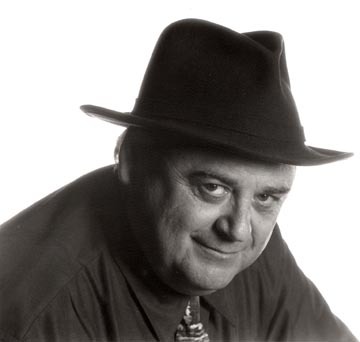 He has been twice featured on KPFK, once on the Pocho hour of power and again on Freedom Now. In addition to poetry, Matt is a member of the League of Revolutionaries for a New America (LRNA) and an artist affiliate of the Poor Peoples' Economic Human Rights Campaign. 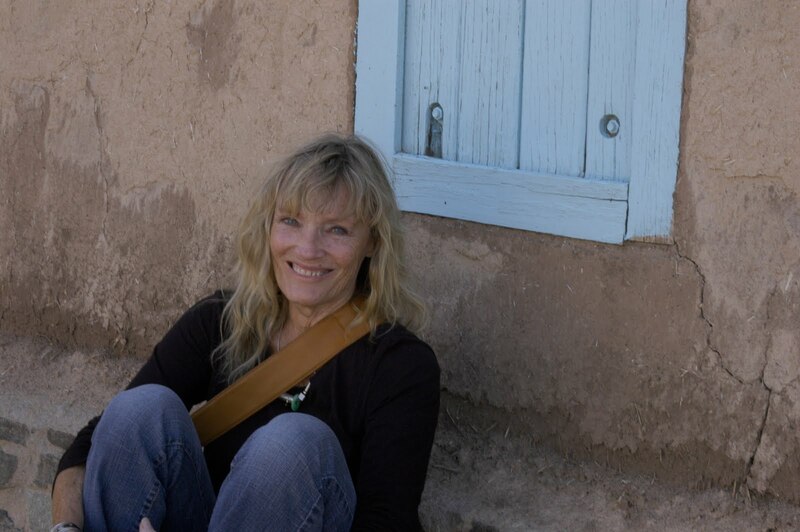 Devreaux Baker's poetry has been published in over fifty journals and magazines including; The Bloomsbury Review, The American Voice, The Pacific Review, Borderlands Texas Poetry Review,and The High Plains Review. Her work has appeared in the anthologies; Inheritance of Light, and The Guadalupe Review, edited by Ray Gonzalez. She was an editor of Wood, Water, Air and Fire:The Anthology of Mendocino Women Poets and produced the Public Radio Program; "The Voyagers Series; Original Student Writing For Public Radio". She is the recipient of a MacDowell Poetry Fellowship, a Hawthornden Castle International Poetry Fellowship, three California Arts Council Awards and the Helene Wurlitzer Foundation Fellowship. Her published books of poetry include; Light at the Edge, Beyond the Circumstance of Sight, and Red Willow People. She has taught Poetry in the Schools with the California Poets In Schools Program. "Avotcja is a unique voice among our poets, musicians, playwrights and other creative folk today. She combines a fierce, persistent and consistent passion for justice with a beauty of words, sounds and image that can take your breath away. To put it simply, Avotcja is a national and international treasure." Guadalupe G. Rodriguez was born to a large family April 7, 1961. Growing up, home life could be complicated with with a large extended family, and eventually 4 step brothers and 6 step sisters. Known to his friends as “Lupe,” even at age 10, he showed an early interest in gardening and arranging things to be visually pleasing, a talent that he would carry with him in his professional design career. Like many Latinos, he was very close to his mother and as a dutiful son, would assist her with daily chores such as preparing meals, house cleaning, and working in the garden. His assistance was invaluable to her, and provided life skill sets preparing him for living on his own later in his life. His mother was always supportive of his artistic ventures and she would count on him to help in observing family traditions, such as assembling "Dia de Los Muertos" family altars. He was always a hard worker and worked in the fields of Texas side by side migrant farm workers witnessing first hand the toil and pain of this lifestyle. In his twenties, he returned to life in the City of San Antonio to work as a horticulturist at the Alamo, following a brief attendance at St. Edward's University. 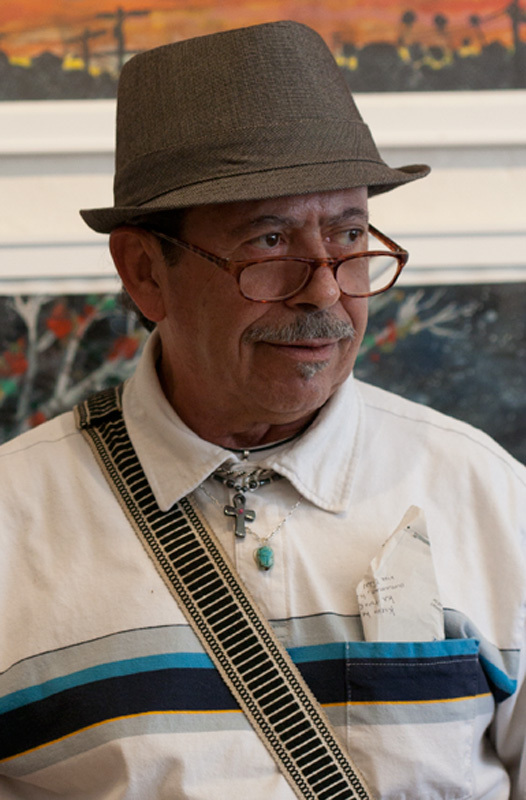 Throughout his professional life in addition to his work in horticulture and landscape design, Lupe has been gainfully employed as a visual arts designer, floral designer, and costume designer. He worked with a team of artists to put together costumes for the San Antonio Fiesta dance troupe, Urban 15. Over the last 13 years, Lupe has been honing his interest in writing poetry since moving to Washington, DC. Though he is not a formally trained poet, he does speak from the heart and would quickly get down his thoughts of rhyme or not, sometimes on the back of a paper napkin when an inspiration came to him. He would often pass these poetic passages to his friends as a gift of his thought. His early poetry was more introspective about his personal relationships. However, since the death of his mother in 2009, his interest has been broader to encompass racial and immigrant current events and family and self experiences. He is proud of his Spanish, Mexican, and Comanche heritage and enjoys incorporating his background, and bilingualism in his work. Over the last 5 years Lupe has been working as a horticulturist with the Architect of the Capital. Amy Ballard Rich's first writing coach was her mother, and she went on to write short stories while getting her B.A. in English Literature. After a 26 year hiatus full of adventures, she began writing again in 2007; this time poetry. Part of those adventures were when Amy attended her first traditional Lakota sweatlodge ceremony in 1994. Although she did not find out until 2005 that she was about an eighth Native (through a DNA test), she quickly knew that path was one she had to follow. When not writing, one of her other passions is enabling traditional Native ceremonies to continue, through learning and singing traditional Lakota songs in the sweatlodge circle she is involved in. When thinking of the bizarre nature of SB 1070, Amy had vivid pictures of how it was just a continuation of Custer's atrocities in the southwest. She tries to capture that in "Bloody Desert".